Over the weekend I competed in a 100 yd NRA High Power match. I shot a 199-6x in the prone stage (laying on the ground with a sling), which is a personal best for me at 100yd. 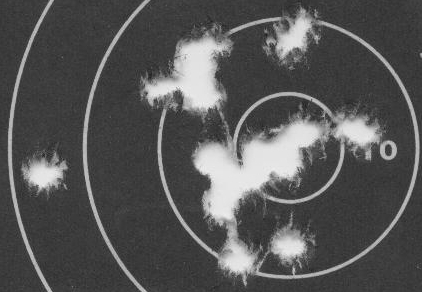 In 100 yard matches, the 600 yard target ends up with a 1.75″ diameter 10 ring and 0.75″ X-ring. 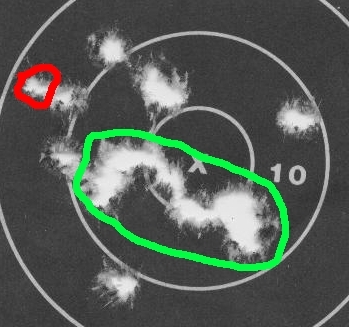 You get credit for the higher point if your hole touches the ring line, so you can see that I probably benefited slightly by using .30 cal bullets The hole circled in red was the one that got away. A few interesting things to point out. First, this was the first outing with ammo that I “fixed” using my new Hornady concentricity tool. 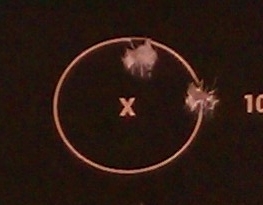 Within the green circle there are roughly 12 shots, and I’ve never shot a group this tight at 100 with this rifle. I really did not expect the concentricity tool to improve much at 100, but I think it did. Maybe a .5 minute adjustment to the right and I might have squeezed in a clean 200. Hopefully this will carry over to the 600 yard line later this month. The second remarkable point is that although I practice on the SCATT system several times a week, I almost never practice prone or sitting (only off hand), and haven’t for several months. Nonetheless, my prone and sitting scores keep getting noticeably better in matches. Meanwhile, my off hand scores, while ever-increasing in practice, a sinking and unpredictable in matches, primarily due to nervousness at the outset of a match. It confirms the belief that skills gained in offhand carry over to other positions, I just need to get my head on right in the off hand phase. I’ll write more about the mental management training I’ve been exploring in future posts. Third, I think the biggest factor is my becoming more particular and consistent with head position on the rifle, and maintaining it during a shot. I’ve tightened up my cheek weld slightly, and maybe become slightly more concerned with keeping consistent head position than whether the bull is perfectly centered. I think the outer 10s and the 9 came when I got a tired and a little sloppy with head position, although I still find that after 12 shots or so my body wants to fight that .308 recoil, and I start to anticipate the muzzle blast. That is why the shots tend to go up from that centering point. I think the next match I will take a 2 or 3 minute break after the first 10 shots to allow my body to recover and see if that helps. This entry was posted in Shooting Tips on July 10, 2013 by jMark74. When I first started shooting rifle competitively, I tried to be discriminating with how I spent my time available for the hobby. I believe I made good choices. For the first few years, all that really matters is developing good shooting technique. The quality of the gear and ammo is of secondary importance, just don’t use junk. As one progresses, development of technique is still important, but there is finally “bang for the buck” when looking at other aspects of the game, like mental training and ammunition quality. I’ve seen a lot of new shooters over the years get into the game, and rather than work on technique they divert disproportionate resources to reloading, or the quality of their gear. This is like the new tennis player who obsesses over the newest titanium racket and shoes, when in reality they would do just as well with an old wooden racket if they would just go out and hit the ball 100 times a day and practice, or the golfer who buys the best clubs and balls but only touches them once a month. More often than not, these folks get frustrated and quit. Top gear helps, but it only makes a tiny difference, and tiny differences only matter once you start reaching the higher levels. Maybe I’m being premature, but I think knocking on the High Master door is the time for me to start looking at my kit. 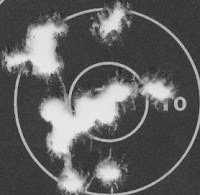 Recently I posted about annealing my brass, and how I believe it made a significant improvement in my 600 yard score. By significant, I mean approximately 3 points, which at my level is pretty significant. But I still feel that I am not extracting every last point me and the rifle are capable of. I’m still getting a few 9s just outside the 10, or 10′s off call. At 100 yards, out of 20 shots I’ll get 15 within an inch but 5 that wander. Now, that could be a million things that have nothing to do with ammo, but I have a “hunch.” My loading bench kind of flexes, my dies always seem to loosen a bit, and a few other reasons make me think maybe my ammo is not world class. Frankly, I was initially skeptical about annealing or that it might have any effect on my scores, but it really wasn’t based on any facts or study…I just assumed that shooters don’t talk about it much, it probably doesn’t matter. I’ve been equally skeptical about the concentricity of my ammo, and basically for the same reason. So I figured I’d dig deeper and take a fresh look into it, especially since I seem to recall a DVD I borrowed on reloading, where David Tubb, a champion High Power shooter, seemed to think it was pretty important. To back up a bit, concentricity is the degree to which the case head, body, neck and bullet are all perfectly centered around an imaginary line running through the middle of the length of the case. Bullets, due the rifling of the barrel, spin like a top or, I guess more like a football. I suppose it makes sense that you’d want the bullet to spin perfectly about it’s length and wobble as little as possible. Apparently this has non-trivial aerodynamic effects on the path of the bullet as well. And like anything else, you’d want it consistent. In theory, your fired case would come out your perfectly concentric chamber, then into your resizing die that keeps the neck and body concentric, and then you seat in a new bullet perfectly concentric with the case. In practice, things get bent off center at various stages and the human eye cannot see the imperfections. It is generally considered reasonable that if you spin the round along it’s axis, a dial indicator gauge should show that the bullet is not more than .002-.003 off that ideal axis. I’ve also read that some shooters will mark the case head where the high spot is, then position the round in the chamber with that spot on top for consistency. That’s a bit overkill for me at this point, I think. So Hornady has a tool out which not only allows you to gauge how much your bullet is concentric or not, but to actually fix the problem by pushing the bullet towards center (bullets are only held in place by a friction fit in the neck, they can be manipulated with moderate force). 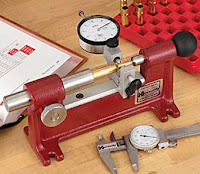 Now, if you have a really good reloading setup and good reloading technique, you might have not need for this tool because you’re already making good concentric ammo. On the other hand, in the handful of years since this Hornady tool came out, there are quite a few believable testimonies online that it seems to work, and certainly does no harm. The most common comment is that it reduces or eliminates “fliers” (shots the shooter believes were off for inexplicable reasons other than technique). Others feel it tightens groups somewhat. Some say the tool is incomplete, because it does not measure the case run-out, and some believe there is something to be gained by sorting cases and using the ones with the least run-out for the shots demanding the highest precision. Hornady techs (this is hearsay but believable) say the most important thing is to get the bullet concentric with the case head, that the neck run-out is less relevant. Of course, you are also at the mercy of the bullet manufacturer, unless you want to start testing the bullets for concentricity and sort them… In the end, theory aside, the tool seems to work for quite a few folks, especially those whose ammo “needs help” and there are quite a few reports of the tool really helping factory ammo. I have a rather frugal reloading press and die setup, so, I “bit the bullet” and bought one (from Amazon.com, where else!) in the hopes that my ammo will benefit. I have a 100 yard match coming up, so I figured I’d test my 22 rounds for the prone portion (which simulates the 600 yard target by using a 2″ 10 ring and 1″ X ring). 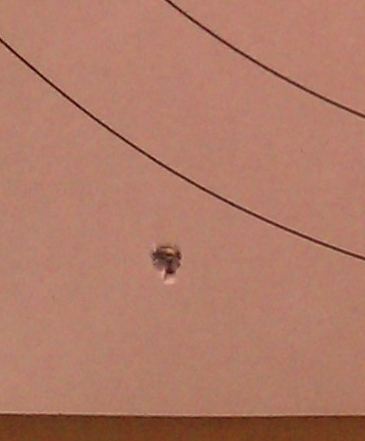 Most of my rounds measured about .005″ of run-out, only a few were .003″, and a handful were a surprising .010″+. The average was probably around .007 or .008. Well that let me know, if nothing else, that my reloading techniques or set up is not as good as some of the serious reloaders out there. It took me about 10-15 minutes to get all 22 of the rounds down to .002″ or less, a few with the dial barely moving. The tool is very easy to use, and I think I will be much faster the next time now that I have the hang of it. I’m not going to bother fixing my 200 yard ammo, and won’t bother with the 300 for now. This entry was posted in Shooting Tips on June 26, 2013 by jMark74. Jewish Marksman Shoots Personal Best After Annealing! A few posts ago I talked about annealing my brass, hoping it might help out my 600 yard prone scores. After annealing the brass, I noticed that both re-sizing and bullet seating was easier, and seating resistance in the press was more consistent. So far so good. Over the weekend I scored a personal best at 600 yards, a 193 with 6x. That’s just 1 point shy of High Master land… Actually the score doesn’t tell the whole story. My first sighter shot was an inexplicable 7, and actually had me concerned that the annealing was having a detrimental effect. I made no adjustments, assuming that round was a fluke, and followed with a second sighter almost in the same spot. I have no idea how my zero could have been so off, unless the annealing had some kind of effect, but the fact the second shot was on top of the first let me know the system was performing. 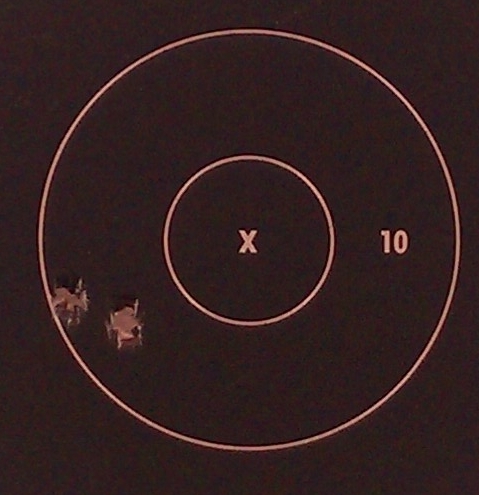 It took me two shots, both 9s, to make the necessary sight adjustments to get a decent zero. From there on out me and the rifle were hammering at 600 like never before. I tired on the last few shots, and flinched a little on an 8. 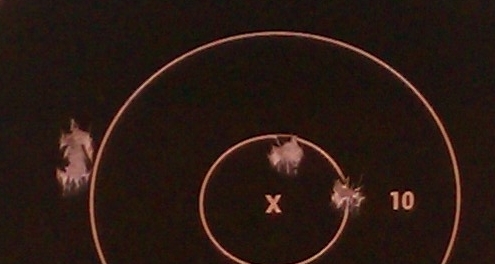 That made me angry so I hunkered down and nailed two x’s as my final shots (the x-ring is 6″ at 600). Well the point is, had my zero been better I think a 194, 195 or even 196 would have been in the cards. It helped that there was very little wind (of the 20 shooters, 196-8x was the top prone score). Unlike my previous outings at 600, where my windage would be good but my elevation would have inexplicable fliers into the 9 or 8 ring, annealing appears to have cured that elevation problem. I am starting to feel like my road to High Master is gaining traction. With the exception of standing, I’ve shot High Master or near-High Master scores in every position, just not consistently. 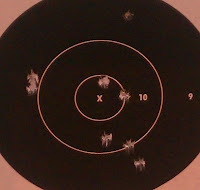 But my consistency is getting better, especially as I am getting more comfortable with the tube gun. I’ve also been doing more mental management training, and I’ll blog more about that soon. This entry was posted in Shooting Tips on June 20, 2013 by jMark74. Jewish Marksman Anneals Brass…Eyebrows Intact! Ever since I started competitive shooting roughly a decade ago, I’ve had to learn unrelated topics and skills in order to keep the wheels greased. Like competitive shooting, most of things are not in the typical “nice Jewish boy’s” repertoire. First and foremost was reloading ammunition, which is a fascinating hobby in and of itself. I’ve recently had to learn an offshoot of reloading, the process of annealing brass cases with propane blow torches! Unless you’re a big macher with plenty of cash to burn, to do any kind of serious competitive shooting you eventually realize that reloading is both a practical and an economic necessity. Part of that process is to re-use the spent brass cases. I’m currently shooting .308 in competition, and for a variety of reasons I prefer Lapua brand cases. I try to buy it on sale, but even then, it’s roughly $0.65-$0.75 a case. A piece of brass can only be fired so many times before it become unusable, either because it cracks, will no longer hold a primer, or some other defect develops. So obviously, the more firings I can get out of each case the better. Every time a section of the brass case is “worked” (being bent, expanding, shrinking, etc. ), that portion of the brass will harden. Eventually it will harden to the point of becoming brittle and susceptible to cracking. When a brass case is fired in a firearm, it will expand to fill the chamber, and the case mouth in particular will expand to release the bullet. In bottleneck rifle brass, the shoulder will also expand and move forward. On many semi-automatic guns the effect will be greater than a bolt action, and of course the case can get dented during extraction or even stepped on once it hits the ground. Before a case can be reused, it has to be run through a sizing die that essentially bends and squeezes it back into shape, which works the brass, especially the case mouth, once again. Typically cracks will first appear in the case mouth, but also in the shoulder, because these areas get “worked” the most. Annealing, as I understand it, is a process of heating the brass which causes the brass alloys to soften, undoing some of the accumulated work hardening. There are several benefits to annealing the brass, one of those being significantly longer life. How much longer depends on many factors, such as the specific alloy the manufacturer used, the rifle chamber, the dies, etc. But the anecdotal evidence I’ve read suggests that perhaps double or triple. While a typical Lapua .308 case might go 8-12 firings before showing a crack, annealing could double or triple that life, all else equal. The second benefit of annealing is it results in a more uniform neck tension when reloading. As brass work hardens, it’s “springiness” becomes variable, such that after a few firings to pieces run through the same sizing die could show considerable variance in neck tension (amount of force gripping the bullet). Annealing makes the neck tension more uniform, which (supposedly) can have a significant impact on consistent muzzle velocity of the reloaded ammunition, and thus accuracy. This is not a critical factor for me during the 200 and 300 yard stages, but at the 600 yard line consistent ammo is important. That said, I’ve yet to see the data substantiating the role that neck tension can play in consistency, but a lot of competitive shooters in High Power claim it is important to use either relatively fresh or annealed brass at 600 for best results. So how do you anneal cases? Well first and foremost, let me say that like reloading, it can be dangerous if you don’t know how to do it correctly. But that said, it is not rocket science, and anyone who has learned to safely reload can anneal. I’m not going to get into specifics here. Only that you never ever want to anneal the head of the case (the bottom of the case where the primer is) because you do not want to soften that area, which could lead to a catastrophic case failure and a big kaboom. I decided to go this route because after everything I read, it seemed to make the most sense. I really did not feel comfortable with some of the “free hand” techniques I see some people using on youtube. I also liked the fact that in the video they discussed the proper use of Tempilac temperature sensing paint to make sure you are doing the annealing correctly and safely. Also, their setup seats the case in an aluminum rest which sort of acts like a heat shield and sink for the case body, further reducing the chance of annealing parts of the case you really don’t want to anneal. I just did 50 cases, and it was quick and easy. The cases now have the same annealing pattern as new Lapua cases fresh out of the box show. We’ll see how they perform over time. Should everyone anneal? Probably not. First of all, some cases, especially small pistol cases, are probably too short to safely anneal. Secondly, many shooters feel that some of the less expensive brass, like 9mm, .45ACP and .223 can just be shot until it cracks, and then scrapped, typically after 4-12 firings depending on a number of factors. I know most High Power shooters feel that way about .223 brass, although I know a handful do anneal their 600 yard .223 brass on belief that more consistent neck tension will help with accuracy. Others simply use new .223 cases for the 600 yard line once or twice, then relegate that brass to shorter line work, replacing older brass that needs to be scrapped. Also, depending on the power of the load and make of brass, in some cases the primer pocket will lose its ability to hold a primer before the neck or mouth of the case hardens, rendering the annealing a largely wasted effort. For a while I thought I could get away with only neck sizing the cases, which means simply tightening the mouth of the case to hold a new bullet. Reloaders find that this puts very little stress on the brass and it lasts a long time. 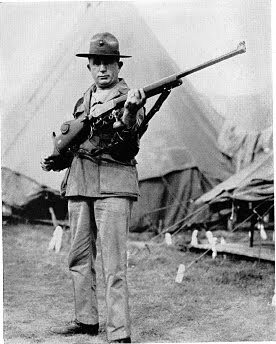 However, after about three or four firings, the bolt started to get hard to close on my rifle–not so hard that it would be a problem with single-load stages, but in rapid fire it could cause problems. I also noticed that even with neck sizing, the feel of bullet seating became very inconsistent case-to-case with brass fired several times, suggesting that neck tension was inconsistent. So now I’ve started full-length sizing the brass more frequently, which will cause more work hardening. I know in my case Lapua brass has a good reputation for primer pocket durability, and I run mild loads. Lots of people report very good case life with annealing Lapua brass, as well as improved long range accuracy. So I decided to go for it. 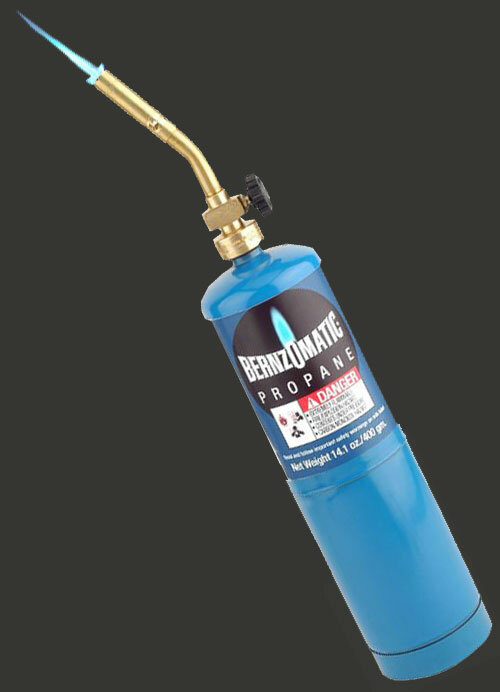 Propane torches are very cheap, as is Tempilac to get the flame exposure timing down. I’m running around 200 cases for two monthly 88 matches, so each case is getting fired roughly once a month. If I can double or triple the case life, that’s $75 or so a year in brass cost savings, not to mention possible accuracy benefits. It is a very fast process, so it does not add too much to reloading time. As a side note, even if you are not reloading your cases, you are a schmuck if you aren’t saving them. A significant amount (if not most) of the cost of your ammo comes from the brass case. If you are leaving them at the range, the range is selling them off as scrap (or to reloaders) and you are essentially giving them money. Save your cases in a bucket, and sooner or later you will a) reload them yourself, b) sell or trade them. This entry was posted in Shooting Tips on June 5, 2013 by jMark74. Numerous shooters use eye-washes to clear their eyes before they fire in matches, or after the strain of shooting all day. Cold tea, or one teaspoon of boric-acid to glass of warm water, or a drop of 5-10 per cent argyrol, or any other solution prescribed by a doctor, may be used. 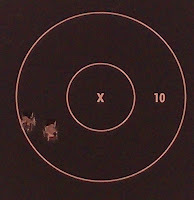 This entry was posted in Morris Fisher, Shooting Tips on August 26, 2012 by jMark74. As I mentioned earlier, using the Mojo sights on the Israeli Mauser creates a problem for me with the target fading and becoming blurry. I believe this has to do with the fact that the rear aperture is a full 14-16″ away from my eye. So I needed a (cheap) fix. With shooting glasses to match that prescription, I have no problem shooting Master scores, and I cannot say eyesight is to blame for not shooting High Master more consistently. However, the main difference on my Service rifle or smallbore rifle and the Mauser is that the rear aperture is only an inch or so from my eye. The solution I found is to use an old trick of creating another pin-hole aperture closer to the eye. I accomplished this by simply punching a small (approx. 1/32″?) hole in a piece of thin cardboard, and then looking through that hole, holding the cardboard in place with a headband I already wear (for sweat, and also to hold another piece of cardboard in place that I use to occlude my non-aiming eye). Worked like a charm! 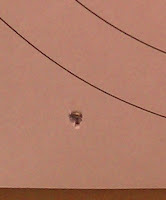 The sight picture immediately cleared up, with the target returning to a clearly defined black ball. I must confess I read about the cardboard technique somewhere online, and other folks simply use electrical tape over their shooting glasses. What I like about my approach is that I can adjust the position of the hole easily, because I look out of slightly different positions on my glasses depending on the shooting position. Plus, it’s cheap, as in free. Many rifle and especially pistol shooters who think their eyes are too far gone to shoot with iron sights find they can still do it by using a pinhole aperture. This means they can keep shooting in divisions which do not allow scopes or red dots, or it saves the expense of having to buy those optics and modifying the firearm. Indeed, many shooters who need glasses to see but don’t want to buy prescription shooting glasses can try this technique with non-prescription shooting glasses. I don’t claim to fully understand why this technique works, although I’m sure a photographer or optometrist could explain it. My basic understanding is that the aperture causes the “depth of field” to increase, whereby the lens in the eye is able to sharply focus objects at a greater range of distances. As to why this works, as best I understand it, the aperture reduces the angles at which light would otherwise hit the lens, as well as the area of the lens that actually receives light, and thus the “circle of confusion” for each visible object is reduced. The downside is that the image appears darker, so it is advisable to play with different aperture sizes for different light conditions. Basically, this same effect accounts for some of the reason why a person without their glasses can sometimes see by squinting, or making an “ok” sign with their hand and looking through the hole made by their index finger and thumb. The wikipedia articles linked give a better explanation, and really, it is not so critical to understand how it works, just that it does! This entry was posted in Shooting Tips on June 24, 2012 by jMark74.